Experience one of the best Russian chamber quartets this festival as the David Oistrakh Quartet play two evenings of chamber works. 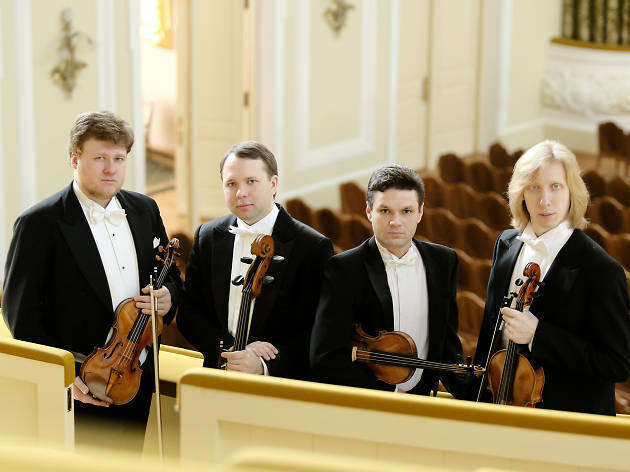 The quartet, named for accomplished Soviet violinist and violist David Oistrakh, play two evenings and are joined by Georgian piano virtuoso Elisso Virsaladze to perform piano quintets by Brahms and Schumann on the first evening. On the second, feel the full force of the quartet as they are over five works by Haydn, Shostakovich, Tchaikovsky and two of Paganini’s Caprices.